Image: Kate Ter Haar/Flickr//Original photo was cropped but not altered for this article. What’s the best way to memorialize a moment in time? Why, create an elaborate sculpture out of marshmallow Peeps, of course! At least, that’s what Sydney Blacksten, a 13-year-old Peeps artist, did. She was so inspired by the meme-generating “Left Shark” that appeared during Katy Perry’s performance at the Super Bowl that she created an amazing replica of the shark out of Peeps. The masterpiece is currently being shown at the Carroll County Arts Center as part of its yearly PEEPshow. Believe it or not, Sydney wasn’t the only one to create an homage to Left Shark. A second entry was made by the Osborne family. Amazing. And they’re not the only ones who seem to have discovered the artistic potential of everyone’s favorite Easter treat. Is it the sugar coating or the almost always stale marshmallow that makes Peeps the perfect artistic medium? 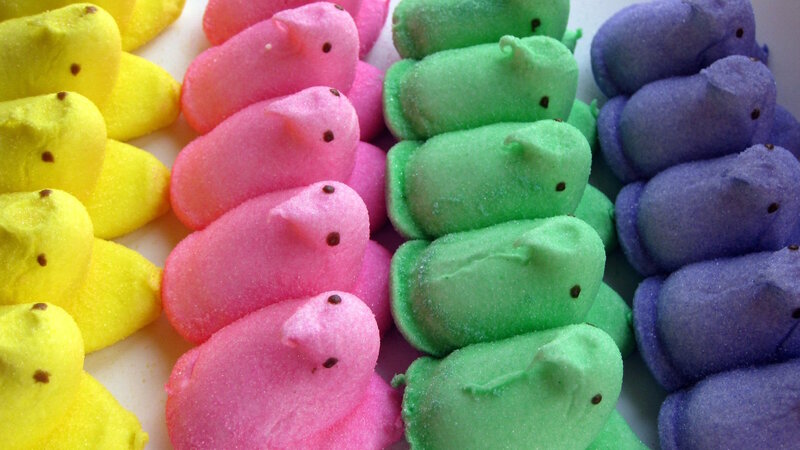 Perhaps we’ll never know, but we can enjoy each Peep pièce de résistance in the meantime. Just in time for Disney’s live-action reboot of his life story, Dumbo looks appropriately chagrined to find his body is actually made of soggy marshmallows. I’m pretty sure this is the panda from the World Wildlife Fund’s logo, which makes sense — no actual chicks (or pandas) were harmed in the making of this artwork. Um, I think we can all agree that this one is a true masterpiece! Turns out Peeps and Goofy are a match made in heaven. Dat Peeps mustache tho… looking good, Lorax! If this Peeps floral arrangement doesn’t get you in the spirit of springtime, I don’t know what will!